Wherever life takes you, Just Dance 2019 beats to the rhythm of your life moments! Whether there’s something to celebrate or for no reason at all, Just Dance is there for every occasion! Lush Life by Zara Larsson is now on Just Dance Unlimited! Well this is a bit strange. 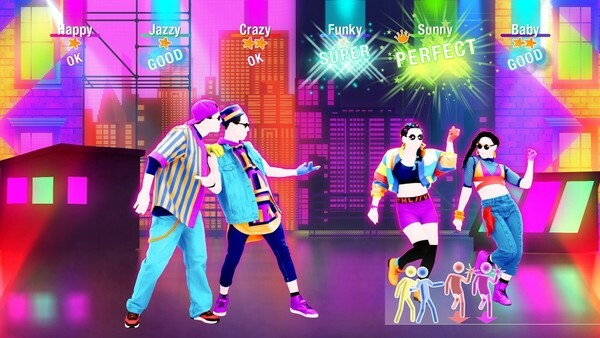 Earlier this week, Ubisoft confirmed Just Dance 2019 for release in Japan, alongside news of a March 20th, 2019 release date. Just a couple days later, and that date has been taken back. Instead of launching on March 20th, 2019, Ubisoft now has the game listed as 'TBD.' We're not quite sure what could have gone wrong with the release date in the span of two days, but I guess it's pretty serious! It's carnival season, I guess? 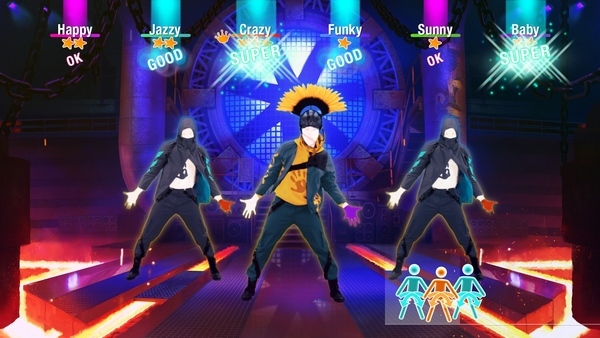 LONDON, UK— March 7th, 2019 — Today, Ubisoft announced the second major update for Just Dance 2019: “Crazy Carnival”. 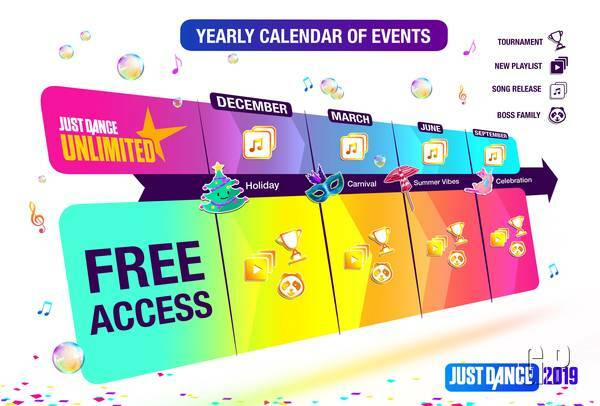 This themed update celebrates the Carnival Season and will offer Just Dance 2019 owners free content including playlists and online contests. Additionally, new exclusive songs and some Just Dance iconic songs will be released on Just Dance Unlimited, the successful demand-streaming-service allowing owners to access more than 400 songs and numerous new content implemented all year long. New Carnival Tournament – available on March 8th, March 15th and March 22nd at 6PM GMT. A Happy Hour for Just Dance Unlimited happening every day from March 7 to March 27 from 5PM GMT until 6PM GMT. During this Happy Hour players will have free access to any Just Dance Unlimited song in the World Dancefloor: the perfect way to boost their party! The Nickelodeon 2019 Kids' Choice Awards are airing on March 23rd, 2019, and will be hosted by DJ Khaled. In the lead-up to the event, voting has opened for the various categories. The Favorite Video Game category includes the following nominees. The next game-to-movie adaptation has been announced, and it's not one anyone was expecting. Believe it or not, Just Dance is set for a silver screen adaptation. Here's the details we have as of now. Today we’re thrilled to announce to you the latest improvements we have made to Just Dance 2019 based on the feedback we have received directly from you, the Community. The update will be available as of 09:00 CET/24:00 PDT on Thursday, December 20 on Xbox One, PS4, and Nintendo Switch, and will also be available at 10:00AM ETC Friday, December 21 on WiiU. The size of the update will be 307 MB on Nintendo Switch, 618 MB on Xbox One, 627 MB on PS4 (SIE & SIA), 420 MB on Wii U (NOA) and 512.59 MB on Wii U (NOE). Please note that you will need to update and restart your game before you will be able to access our online features. Find below all of the improvements and changes that our newest update is bringing to Just Dance 2019. -	Menus and navigation, Home Tab, Profile Tab, Songs Tab, Ubisoft Club and Just Dance Unlimited pages, Pause menu and Settings page, Pop-up messages, and Tutorial Screens have all been improved for a better user experience. -	Kids Mode has been made even safer for our young players and their parents. Now, the Just Dance Unlimited songs no longer appear in the Kids Mode song list unless the subscription to the service has already been activated from the Just Dance Classic Mode. -	You can now create your own Custom Playlist from the “+” button in the Playlists Tab or from the pop-up triggered by pressing “Add to Playlist” when a song is highlighted. -	Songs can be added to any Custom Playlist from almost anywhere in the game including the Home Tab, Songs Tab, Search Tab, and the Score and Rewards Recaps. -	It is now possible to navigate through the banner of the playlist to change the order of, or add songs to the tracklist whenever you wish to your Custom Playlists. -	You will now find “Behind the Scenes” and “Welcome” videos displayed in the Home Screen of Just Dance 2019. -	The trigger buttons on controllers that have them now allow jumping between sorted sections. -	We’ve made it easier to create a Ubisoft Club account on Nintendo Switch and WiiU. -	You will now see a display of the scores performed on previous versions of Just Dance on the Song Banner in the Songs Tab section. Get ready for our Holiday Celebration Event! Login to Just Dance Unlimited and celebrate the holidays with all new songs, fantastic challenges, and so much more. Come see the making of Just Dance 2019 and check out behind the scenes footage of Jingle Bells.